@ah59396 , I love you. And I think I'm allowed to have the opinion that anybody who states that a play in the first quarter (when the panthers scored five plays later!) cost them the (preseason!) game....is probably just a troll and isn't worthy of response. Ha ha ha ha. Agreed. He spits out facts and speaks for us all. Though, I can continue to pile on as well but won't. It's only August. You may have me wrong. I believe that the Panthers will do very well this year and I certainly hope so. I just don't care for Newton. He has already screwed up by messing up the 95 yard touchdown on Thursday night. It cost us the game although it was just a pre-season. I am sure that I like and dislike lots of people that others don't like or dislike. I support Trump and can't stand Hillary. What can I say? We all have opinions. I feel secure in knowing that if Newton's luck runs dry, he has Anderson and Webb as backups. The Trump thing I kind of figured based on your other feedback and its really starting to add up. It's not a matter of likes or dislikes but production and reality. Two things you'd better hope never happens in 2016, Newton gets hurt and Trump gets elected. The lost of Cam will have an immediate impact and Trump admin will be a disaster in less than a year in the oval office. Doesn't matter in this world of spinaholic, you (and others) will find a way to put the blame on Cam for smiling on the sidelines as a distraction while hurt. Not to mention all the volunteer work, feeding the homeless and the gazillion other community/activities that Cam is heavily involved in....many which of no fanfare/visibility and you're worried about a fkn towel over his head. I totally respect other people's opinion, even stupid irrelevant and idiotic ones, but it can't go unrebutted else some innocent bystander might actually fall prey to that junk talk. Cam hasn't had a DWI, accused of taking PEDs, domestic violence, club hopping, alcohol/substance abuse, etc. A model citizen and ROLE model and you're worried about a fkn towel over his head. I made my point earlier. Is this a message for me? If so, what are you saying? 19-0 starts tonight! So excited for this. Everybody stay healthy, okay? Let's have fun. Mental mistakes and coaching lost that game. Nothing to be alarmed about at all. They'll still win 11-13 games this season but there is a lot to clean up. Cam was clearly hurting in the second half too. wouldn't you be too if you got hit in the head 4 times? We've lost to that team 2x now and bot times I've felt like we were better. We've got some holes to plug on defense, but we are fine. Cam is a BEAST. KB is an absolute monster and is going to have a mega season and the run game looked good. Gano bangs that last boot in and we are all singing a different tune this morning. we get Blaine gabbert and the niners at home next week then we get Sam Bradford and the Vikings. I suspect, like always, that we will pound Bradford into a bag of mush. 15-1. Cam reveals after the season that he is a robot. Not a man, a machine. 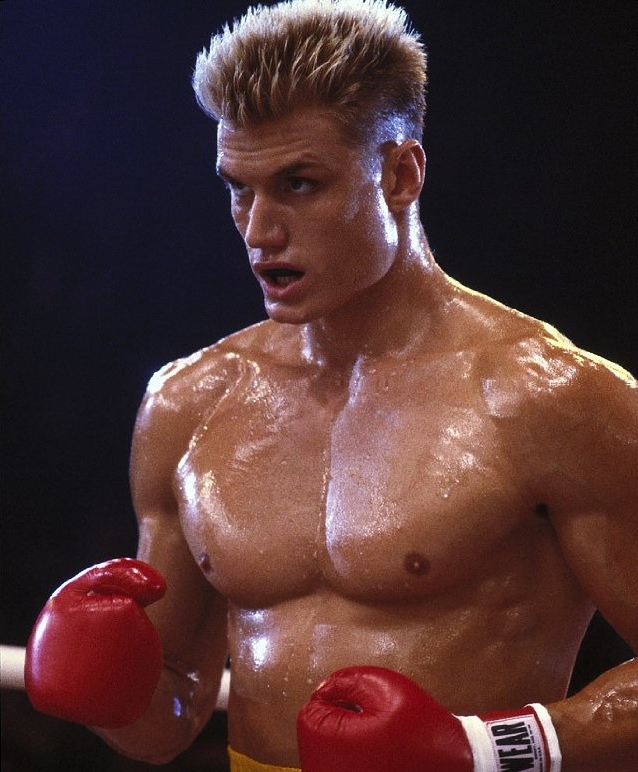 Developed in the Soviet Union during the 80's under the same program that created Ivan Drago. Four helmet-to-helmet hits by Broncos, only one called and that overruled by a lesser infraction. Reportedly, inconceivably, the Panthers fail to do a concussion test. Panthers blunt Bronco's vaunted pass rush for much of the game, but fail to protect Cam when it counted. Panther's vaunted defense can't stop a quarterback who'd never taken a snap in the NFL. Path to Super Bowl victory: take the Broncos off the schedule and/or pray that they're eliminated in the playoffs. This was the key to the loss. The defense played terribly. Those 3 turnovers on the stat sheet are incredibly deceiving. The Broncos offense had their way with our defense. A lot to clean up there, it wasn't just the secondary. I wouldn't say any Panther fan is truly hanging their heads over this loss. Every bit of news and sh*t talking i've heard has actually pointed respect in the way of the Panthers. The real takeaway from this game is the mismanaged officiating. They should have realized after hit #2 that Cam was being targeted for injury. Maybe the officials on the field didn't see the first three hits, maybe they did. But officials upstairs definitely were aware of the situation and did nothing. To protect all players, I feel as though the NFL needs to create a rule that would end a game in the event that a player is clearly under duress. No one knows if the outcome of the game would be any different had those calls been made, but they should have been made. The Panthers should have pulled Cam out of the game. I actually thought they were going to put Anderson on the field, and that didn't worry me. He's a great backup, maybe the best (he is undefeated as a Panthers backup QB after all.) IMO, I feel like he might've put us in a better situation than a clearly shaken-up Cam on that last drive. But the game is over, we took the L. Maybe the league will respond, they probably won't. The key takeaway: our defense is in shambles. ... and the offense knows that the Broncos are going to concuss Cam and can't do anything about it. Fox using old stock shots of Charlotte....interesting to see the Observer building resurrected. It'd be nicer if last years defense and offense could be resurrected. The halftime score is deceptive. They look terrible, and Cam is playing hurt. Way to bounce back, Panthers! My West Coast friends were confident that the Niners were going to win. we must have been watching completely different games. You need to be pessimistic in the early part of every game lol. Honestly, I look at that game positively and negatively. I really don't like the amount of turnovers we had, nor the mistakes. But my god, we are unstoppable. We put 46 on a team that had a shutout last week ( I don't care who they played, it's the NFL, shut outs are rare). We put 46 on a team, DESPITE turning the ball over 4 times, 3 of which were inside our 23 yard line. If we had played that game mistake free, we honestly could have beaten that team 60-10. Which is just BONKERS to think about. Looking back at Week 1, my new conclusion for why we lost that game was 100% clock management. If we hadn't burnt timeouts early in the second half, we easily could've gotten closer to better field goal range. The Panthers seem to lack urgency when getting to the line. That's an issue that stems back to last season as well. It blows my mind that it wasn't addressed during the off-season. Week 2, sloppy. How the hell did we get those 46 points? Really, to me it just doesn't add up. Most of the second half was awful IMO. We almost gave up a 21 point lead... Ted a.k.a. "Butterfingers" Ginn Jr struck again. Luckily though, Thieves Ave got us out of a bind and resurrected our momentum. It's just astonishing to see that the Panthers had the highest score in Week 2 out of all 32 teams (assuming tonight's game doesn't surmount that.) We scored 9 times despite having 4 turnovers? That's just crazy talk. "Maybe all the Carolina Panthers needed was to play someone other than the Denver Broncos." Hopefully that stays true for the rest of the season.